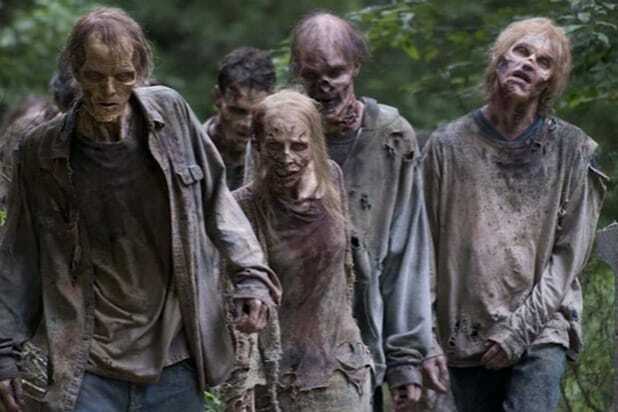 AMC on Monday confirmed plans to launch a third “Walking Dead” series in 2020 that seeks to bring new life to the hit zombie franchise. The upcoming, as yet untitled drama series will stand alongside its predecessors “The Walking Dead” and “Fear the Walking Dead” to allow the universe to grow. The third series, which will shoot in Virginia, will feature two young female protagonists and focus on the first generation to come-of-age in the apocalypse as we know it, according to AMC. Some will become heroes. Some will become villains. In the end, all of them will be changed forever. Grown-up and cemented in their identities, both good and bad. Writer/producer Matt Negrete will serve as showrunner on the 10-episode series alongside chief content officer Scott M. Gimple. “We’re thrilled that the Dead will keep walking into a new corner of the post-apocalyptic world, a corner that will present stories and characters unlike any that ‘The Walking Dead’ has dramatized thus far, and that is bound to excite one of the most passionate fanbases in television,” David Madden, president of programming for AMC Networks and AMC Studios, said in a statement. “Scott has been an invaluable leader for the Universe since taking on the role of chief content officer, with a distinct and innovative vision for the franchise. Likewise, we’re excited to have Matt, who has been a crucial part of ‘The Walking Dead’ family for over five years and penned many memorable episodes of ‘TWD,’ at the helm of this original series,” he added. While the 9-year-old show continues to dominate its competition in the ratings, “The Walking Dead” closed out Season 9 last week with its lowest-rated season finale to-date, with the final episode of Season 9 drawing a still-impressive 5 million total viewers. The previous low for a “Walking Dead” season finale was just under 6 million viewers and a 3.0 key-demo rating among adults 18-49. Those were the Live + Same Day numbers for the show’s Season 1 finale. The Season 9 finale was the second highest-rated episode of the season’s second half, behind the midseason premiere.